It is important to understand that the prosecution team in the Oscar Pistorius ( Oscar’s) trial bears the onus to prove Oscar’s guilt beyond any reasonable doubt. As a result of bearing the onus the State will start by calling witnesses in order to lay the basis for a conviction on either premeditated murder or murder. Before calling any witnesses the proceedings will start by the prosecution team putting all the charges to Oscar Pistorius so that he could plead to these charges. It is expected that he will plead ”not guilty” to all the charges and he may then briefly set out the basis for his defence on each count. He may of course remain silent and not disclose any version whatsoever, if he so wishes. Once he has pleaded the judge presiding over the matter will record his plea and ask whether he confirms the version as was presented by his legal representative. Once that is done both parties, i.e. the prosecution team and the defence team, will have an opportunity to address the Court on what they seek to prove and disprove during this trial. It is important to note that during these preliminary stages Oscar Pistorius will not speak directly to the court other than stating what his plea is as his advocates are specifically there to represent him and to speak on his behalf. The prosecution team will thereafter call various witnesses. Oscar’s defence team will cross-examine every witness that is called to testify and usually they will only have one opportunity to do so. There are however exceptions to this rule. During cross examination of the witnesses the defence will attempt to specifically identify discrepancies in the witnesses’ evidence and they may of course elicit evidence which might be favourable to the accused. If the evidence is damaging to the accused the defence will attempt to discredit the witness or they may attempt to soften the effect of the evidence. Oscar version relevant to that specific witness has to put to the witness for his/her comment and the prosecution team could use that version to later cross-question Oscar’s witnesses. The Prosecution team i.e. the State will then close their case and by that is it understood that they will not call any further witnesses on the merits of the case. It is often referred to on TV as the State “rests”, but in South Africa the parties closes their cases. Once the prosecution team has concluded all the evidence, then of course the accused will have an opportunity to present his case. In his defence he can of course testify himself but he can also call witnesses. In this instance we are of course aware of the fact that there are various witnesses that the defence team will call and once they have adduced all their evidence, the prosecution team will equally have an opportunity to cross-examine every witness the defence team calls. 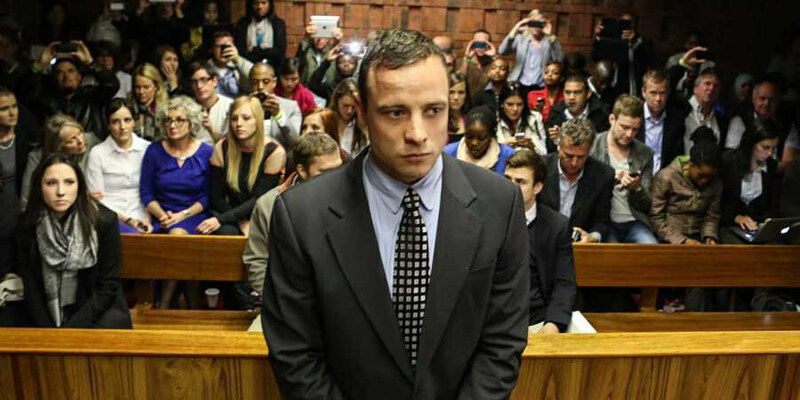 Once the defence has called all their witnesses and adduced all the evidence, they will then close Oscar’s case. Once the defence case is closed, both parties i.e. the prosecution team and the defence team will now have an opportunity to address the Court on the liability of Oscar Pistorius and whether he ought to be convicted of any offence. The judge will thereafter interact with both parties during the addresses whereafter the Court will schedule a date on which the judgment will be made known to the Accused . The judgment will of course be handed down and once the judgment is known, should he be convicted, then of course the sentence proceeding starts. In the event of Oscar Pistorius being convicted of any offence, the defence team will then have an opportunity to adduce evidence in mitigation of sentence. This will mean they might call correctional officers to testify or criminologists or probation officers or maybe just character witnesses. Equally the prosecution team will also thereafter have an opportunity to adduce evidence which they believe might assist the Court in imposing a heavier sentence. Once all of that is completed, the judge presiding in the matter will then consider all the factors but the judge alone will hand down sentence in this matter.